Travel photography shouldn’t be only about wildlife, monuments or landscapes. When visiting a foreign country, a photographer should always try and spot the differences between the two nationalities. What makes them different than you, what special characteristic do you admire? For example, while we were on a photography trip in Egypt (with professional and amateur photographers) we managed to capture this travel photo. 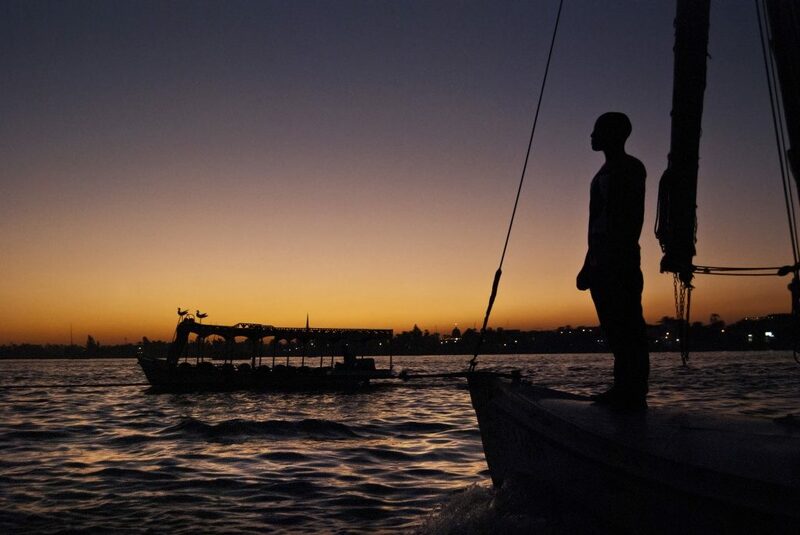 The Egyptian sailor at dusk tells us that their people is hardworking and appreciating of the natural resources that they have. From a photography point of view, waiting for dusk was the best decision in preparation of this photo. Don’t you think?